A domain name is like a street address on the web. It is essentially what is used by the web to find where your website, emails, etc are hosted. When you register your domain name you are creating your own unique online identity. No two parties can ever hold the same domain name simultaneously; therefore your Internet identity is totally unique. If you have a business site on the Internet your domain name is your own online brand and in a sense you can use your domain name as your online business card. With your own domain name your web site, and e-mail addresses for example will have that professional look, being unique to your business. Many people often miss the importance of having and then keeping their domain name until they lose it. Once this happens they soon realize that they have lost their whole online identity. 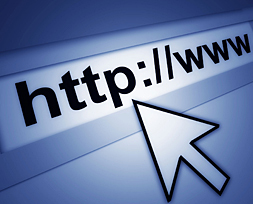 To understand why you need a domain name you first need to know how a domain name works. A domain name is an addressing construct, used for finding and identifying computers on the Internet. Computers use Internet Protocol (IP) Addresses, which are a series of numbers used to identify each other on the Internet; however, many people find it hard to remember IP Addresses. Because of this, domain names were developed so that easily remembered names and phrases could be used to identify entities in the Internet instead of using an IP Address. For example, the domain name web24.com.au identifies the company Web24 When a user types the domain name Web24.com.au in their browser or sends an email to web24.com.au, the Domain Name System (DNS) will translate the domain name into IP numbers. These are then used by the Internet to connect the user to Web24’s web presence. You can use a word or phrase as a domain name. When thinking of registering your domain name, think of catchy words or phrases that are easy to remember and that will bring more traffic to your site. Try to use a domain name that is relevant to your web site. If your web site is a business site, it is a good idea to use the companies name as the domain name or if your site is a personal site try to think of a domain name that is related to the topic of your web site. Also try to keep your domain name as short as possible, around 5 to 20 characters is fine. The shorter the domain name the easier it will be to remember. One thing to keep in mind is assumed spelling issues; if you think up a ‘clever’ domain name such as 1luv4u.com, One Love For You (dating service), people may type in oneloveforyou.com believing this is the domain name; or oneluv4u.com, or 1love4you.com etc. This leads to brand problems. In this case the ‘oneloveforyou.com’ name would be best. Another unfortunate example: Flo Office Supplies ? flooffice.com? Why should I keep my domain name registered? If you loose your domain name you can loose your whole online identity. Because you can only register a domain name for a year or so, you will need to make sure that you renew it before the expiry date. Once your domain name expires you will no longer own that domain name. Your Registrar will then own it and be able to sell your domain name to the highest bidder. To make sure you don’t lose your domain name you will need to make sure you renew your domain name at least two weeks before it expires. Also make sure that your information is registered properly, especially if you didn’t register your domain name yourself. Ensure that your information is displayed as the registrant, administrative and billing contacts; most importantly make sure that the email addresses for these contacts are ACTIVE. When you receive any information about your domain name, such as renewals, price changes, etc? an email will be sent to this email address. If you can’t receive any mail from the email addresses listed under the domain names contact then you are at risk of not receiving important notifications about your domain names, which could result in loosing your domain name. People often miss the importance of having their own unique domain name for their web sites. A domain name represents you, your company and your online presence; as does a business card. If you don’t have your own domain name you won’t be able to promote your own online identity and web site on the Web.